I could use an adapter like this in conjunction with the UFC to adjust to the exact backfocus/metal back of the Tak 1.01 flattener. Can the adjustment, when optimal back focus is achieved, be locked to prevent accidental drifting? The outer block knurled ring locks the distance of the adjusted length. 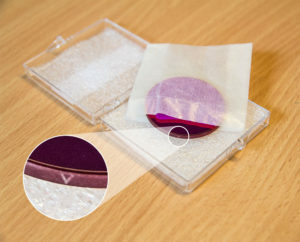 The ring can bear a 1Kg payload easily. 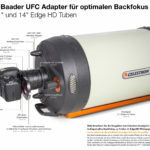 Can this adapter be locked at specific proper optical-length position, and at the same time maintain/hold a camera sensor perpendicular to the optical axis of a telescope (perpendicular to 0.01 degree or better, specified by Celestron's RASA manual) ? I've tried to look into the pictures of this adapter and I guess I can figure out how this adapter should be fixed onto other adapters with S70 dovetail, and how it is continuously adaptable on its optical length. However, the adapter seems to me have no locking mechanism to lock on specific optical-length-position, so I'm worried about this. 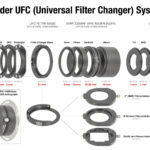 PS.My plan is to add this adapter after two 5mm S70 extension adapters, and install the UFC filter base after this adapter (planed total optical train: telescope side adapter RASA plate->5mm ->5mm ->this # 2459145 ->UFC filter base and a UFC filter slider -> #2459119 S52 and # 2408331 S52-to-Fuji-X adapters -> my Fujifilm mirrorless camera). Thank you. so pretty exactly so you may have to turn the push/pull screws from the RASA anyway. because of refraction. To stay homo focal and to receive lights it is of advantage using a clear glass or UV/IF filter.